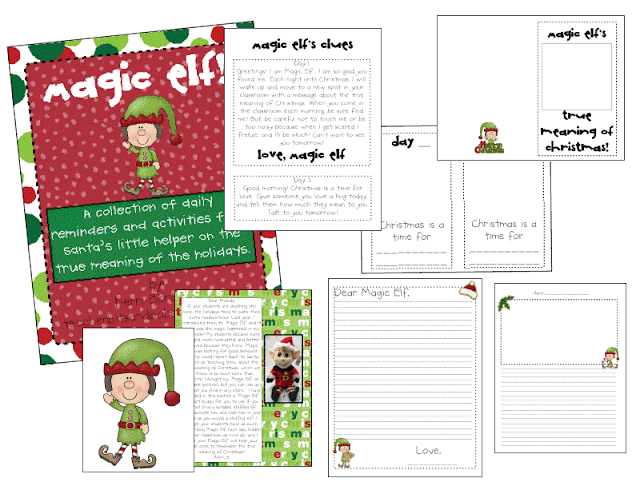 Teacher Bits and Bobs: ANOTHER Magic Elf Freebie and more Holiday art! Hi Peeps!! Kerri here...I am going out tonight for one of my Bestie's birthdays to BJ's (can you say PIZOOKIE!!) so I'm gonna keep it quick! I love the last one, "Fills our buckets!" OH MY WORD...what a proud teacher moment!! Click on the picture below to download your own copy! You can still pick up your Magic Elf unit from TPT! It's not too late, I promise you. You can do this unit in only 1 or 2 weeks. PLUS, you get all the freebies that I have been posting as a BONUS!! Who doesn't love bonuses?? My kids were SO RIDICULOUS on Tuesday that Magic Elf didn't move on Wednesday and they were HORRIFIED. Their behavior made a complete 180 and he ended up moving at lunch time! They were VERY relieved! I tell you, he is MAGIC!! We also finished our Snowman Plaque Parent gifts today and they are SO STINKING CUTE!! Don't mind the FUGLY, super old dropcloth. It has been with me for years and serves it's purpose so well!! Here are a couple of other art projects we have made. We have the kids make a family wreath at home and we display them after they bring them in. They always do such a fantastic job, and they all turn out so unique!! Pipe cleaners, pony beads, and yarn. Easy peasy, and they look so pretty on a Christmas tree! Hope you can use one or more of my ideas!! Gotta jet...BJ's is calling my name!! I love all of your projects -- got my eye on those ADORABLE reindeer!!!!!! And I love the family wreath project. Wow~I love all your ideas. Thank you! 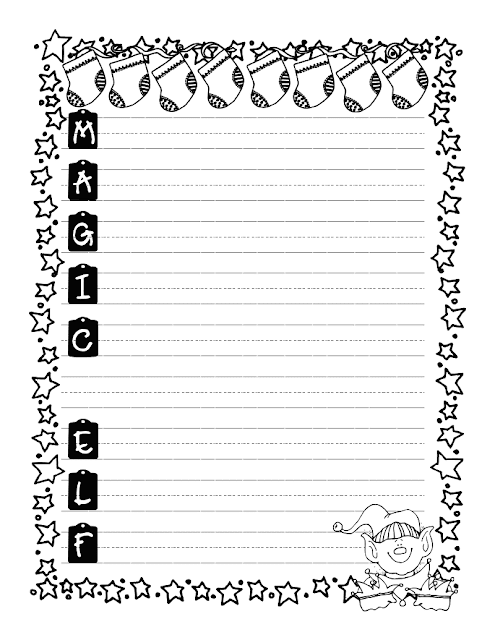 And I'm still loving Magic Elf, my kids can't get enough of him. Glad to see you got your big header back ... I wonder what went wrong? starting the magic elf tomorrow! woohoo! Love, love, LOVE all the amazing projects you have done !!!! The reindeer are so cute, I'd be ever so grateful for an up close photo or instructions. And I'd appreciate knowing more about the family wreaths. Thanks for sharing all your great happenings! Could you please send me the dimensions for the reindeer? They are adorable!!! My email is trknagy@gmail.com.